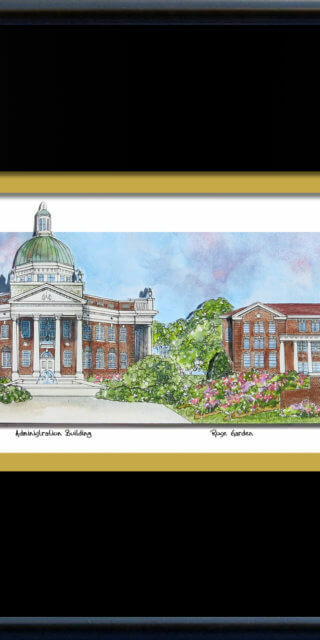 The buildings depicted are the College of Law, the Torchbearer, Ayres Hall, and Old South College Hall. 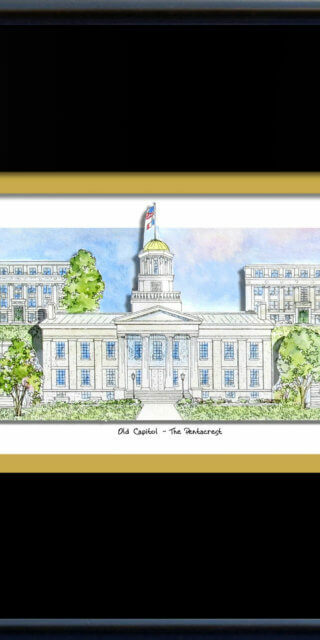 The Torchbearer serves as the University’s official symbol which holds the torch of enlightenment. 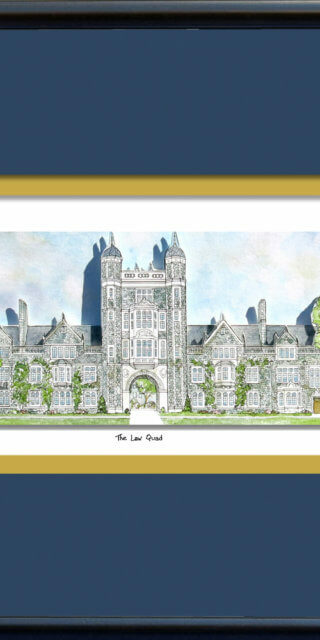 Ayres Hall was built in a Gothic Revival style and the checkerboard pattern on the top of the tower has been replicated in orange and white in the Neyland Stadium end zones. South College Hall is the school’s oldest building. 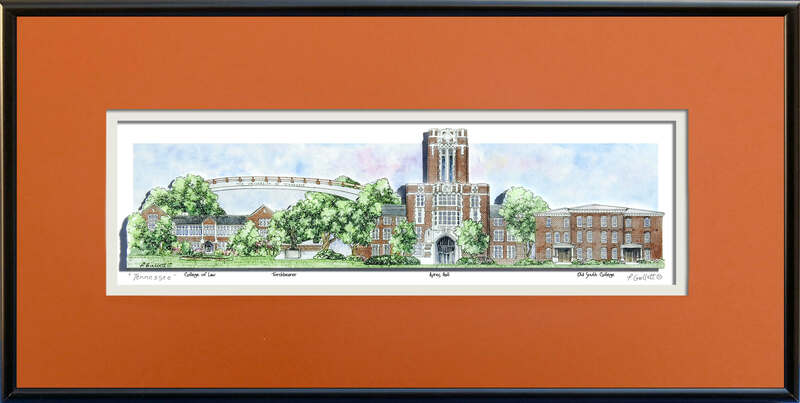 University of Tennessee delights in its history, academics, and athletics making this a unique gift for recent graduates, past alumni, and fans of all ages. Relive the memories!